Try out testing machine! User Test Room is available. The clients are most welcome to visit KAJIWARA Singapore to test run the machine using ingredients, to see the selections of machines, to acknowledge the functions, to develop production technology and just for a meeting. By processing your materials with our testing machinery, you can assure the most suitable and proper way of processing for your purposes. 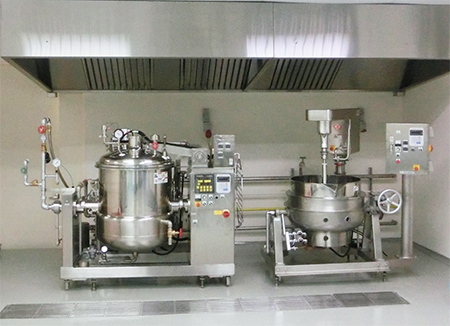 By using various type of machine, you are able to select the most suitable and proper model and specifications for your processing food materials. Copyright 2013-2016 KAJIWARA SINGAPORE PTE. LTD. All right reserved.